Ray and Lauren DeFrese have been married since 1995 and have lived in the Cascades area since 1999. Kevin and Allison Kennedy were married in 1982. They both came to know Christ during their college years. Having been introduced to Jesus as LORD and Christ in late high school, Bruce has been taught and discipled by many followers of Jesus since 1977. Amy grew up attending Reston Bible Church and after college she moved back to the area and returned to RBC. During college years together, Thom and Mandy both received Christ as their personal Savior and became followers of Him ever since. Erik grew up in Northern Virginia and works in IT. Lee Anne was raised in Seoul, Korea, and Northern Virginia and is both a stay-at-home-mom and photographer. John is a part of a group of men who meet weekly to sharpen one another in their walks with the Lord and in their roles as men. Through the encouragement of his father and the ministry of RBC, Gary repented and received the gift of salvation through Jesus Christ in 1986. Gary and Karen met each other at RBC and were wed in 1992. Jeff and Peggy both grew up in families who attended church regularly. Bill was raised in the Reston/Herndon area and trusted Christ as his Savior during his freshman year at Virginia Tech. Candy was raised in the Norfolk area and trusted Christ as her Savior as a young girl. Ed was raised Catholic and entered into a personal relationship with Christ while at the Air Force Academy. Elizabeth became a Christian while attending Sunday school as a young girl. Both Tony and Donna became followers of Christ in their 20s. Paul Bice started attending RBC in 1990 after a fairly traumatic chapter in his life closed. Dana and Wilma have three grown children. They were raised in Christian families. Jim and Cindy live in Reston, have been married since May 2000, have two children, and have been attending RBC since 2003. Both Martin and Kristen have known the Lord from a young age and are passionate about being in community with other couples in a similar life stage. Scott and Vickie have been attending RBC for 14 years and have been walking with the Lord for the past 25 years. Jim came to Christ at a young age through the love and guidance of his family and church. Tim was born in Raleigh, NC, and grew up in the surrounding area in a Christian home attending church and engaging in the youth ministry programs. Vanessa grew up in the Chicago suburbs in an atheist home and spent her years ignorant of Christian gospel. Jim grew up in church but only met Christ in high school through some friends. Kevin and Katie see their group as a means for God to show us His love through the lives of those around them, loving one another along the way and sharing in life’s joys and sorrows. Steve and his wife Julie both accepted Christ as young adults. John and Patty were both born and raised in Southern California. Andrew and Myunghee have been married for about 13 years. They were both born in South Korea and emigrated to the U.S. many years ago. David was born and raised in southern California, and came to know the Lord at a young age. Angela started attending Reston Bible Church, recommitted her life to Christ and got involved in the young adults ministry. Brad grew up in a Christian family and was saved at an early age, but his faith was in ritual only. After coming to RBC in the late '90s, he began to hear for the first time the truth found in solid biblical teaching. Jim and Debbie have been attending RBC since 2012, but have lived in the Northern Virginia area for the past 11 years. Brian and Sharie been involved with RBC since 2008. Brian is currently involved with several ministries at RBC, including Starting Point, and also serves as an elder. Chris and Kim are continuing to figure out how we follow Christ and grow closer to Him through this crazy thing called life, and are hoping to build a group that seeks the same. Born and raised in Southern California, John moved to Virginia with his family in 1972. His wife's faithful example led John to accept Christ as his Savior in 1979. Mike and Ruth both moved to Northern Virginia in 2004. Ashley Ramsey is a mom of three, a wife for 10 years, a homemaker, and a homeschooler. A native of the backwoods of Kentucky, Jason accepted Christ in high school. Katie came to know Jesus through the Young Life ministry at Oakton High School and deepened her walk with Jesus throughout college at High Point University. Judy has been attending RBC for about 18 years. She is married with two adult children and five grandchildren. Both Eric and Michelle Smith have been attending Reston Bible since 1976 where they met in the Jr./Sr. high youth group. David is a senior systems engineer working for the defense contractor ManTech. Susan is a retired registered nurse. Charles was born and raised in California, but spent several years in Korea, where he met Christine. Cody grew up in Southern California. He was saved as a child and has been growing in the knowledge of Christ ever since. Dan enjoys ultimate Frisbee, lacrosse and biking, and volunteering as a Shepherd Group leader with the Gap ministry. For Dave, the walk to the Lord was a long journey of fits and starts, beginning with his attendance at church as a child, through his association with believers in college, and ending up with attendance at RBC. Saira moved to the United States in the early '90s, and came to know Christ in 2005. Mike has been involved with small groups for 40 years and Kay has also been involved in many small groups throughout her Christian life. Dale was born and raised in Kalamazoo, Mich., and has a degree in aerospace engineering from the University of Michigan. He is an only child and became a Christian at age 27. Mark loves people, and he loves serving. When it comes to leading a shepherd group, he’ll be the first to admit he doesn’t have all the answers, so he enjoys other’s perspectives on things. Martha Isings lives in Ashburn. She loves the Lord and has a heart for teaching young women. Steve and Jennie have been residents of Loudoun County since 1984. They have been married for 34 years and have two grown children. Chris grew up in the suburbs of Baltimore City. His father, a Danish immigrant and a self-taught businessman, taught him the importance of working hard and of doing things well. Judy grew up in Baltimore City and heard the gospel clearly for the first time as a freshman at the University of Maryland. Brian and Sarah St. André live in Aldie, Virginia, with their three boys. Robert and Sarah moved to Reston in the spring of 2017 after Robert completed graduate school at the University of Michigan. The group’s early meeting day and time provides a jump start for the work week and a source of personal encouragement. Jay grew up in Northern Virginia then attended Virginia Tech. It was there that he gave his life to the Lord. Debbie met the Lord in high school and also served on Young Life staff for a few years after college. 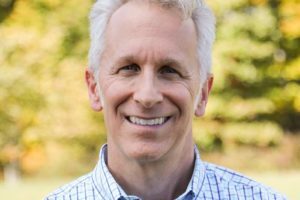 Paul Bice started attending Reston Bible Church in 1990 after a fairly traumatic chapter in his life closed. Pete and Amy started their group in an effort to grow in understanding God's Word and Gospel of Grace, which in turn should grow the desire to serve God and neighbor. Mike and Marsha have attended Reston Bible Church since 1991. Although raised in Christian homes, Kurt was an atheist and Sandi was an agnostic until May 2010 when God, in His good grace through a friend’s testimony, changed their hearts to accept and believe the good news of the Gospel.